The Bureau of Codes is responsible for the enforcement of building construction, electrical standards, plumbing, health and sanitation, and property maintenance codes for residential and commercial structures. The Building Inspector, through the Codes Administrator, enforces the building codes on all construction activity for new construction and rehabilitation work on all commercial and residential structures. 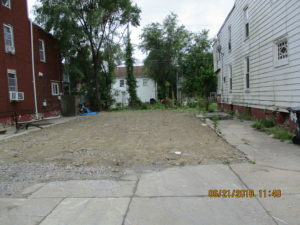 The Codes Enforcement Officers inspect for code violations in existing structures and vacant lots, including but not limited to, high grass and weeds, sanitation, plumbing, heating, electrical, vector problems and structural violations. The Bureau processes all permits relating to building construction, electrical and plumbing work, as well as assisting with zoning compliance. The Bureau also issues licenses for electricians, plumbers, and rooming houses. The building, electrical and plumbing inspectors perform progressive inspections on new construction, rehabilitation, and alteration projects. The Bureau enforces all state and local health code provisions relating to food establishments and also lead-based paint hazards in residential structures. Health licenses are issued for all food establishments. The Bureau also promotes community interaction programs, which provide citizen involvement in codes-related procedures. 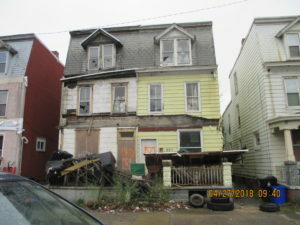 Who do I speak with about heating complaints, mold, roof leaks and other violations by my landlord? For heating complaints, you can contact the Bureau of Codes office; an inspector will be contacted immediately. At which time, the codes inspector will contact the landlord who will be given 24 hours to provide some form of heating. A landlord/tenant complaint form will need to be submitted for all other complaints. Please be advised, we do not take care of any mold issues, but will check for leaks that cause mold. How long will my permit take to process? In most cases, your permit application will be processed within 48 hours. However, the larger the job the more time it will take to review the application and drawing, if applicable. In accordance with the adopted Statewide Building Code, residential permit applications must be approved within 15 business days. Commercial permit applications must be approved within 30 business days.  What codes does the City of Harrisburg utilize? 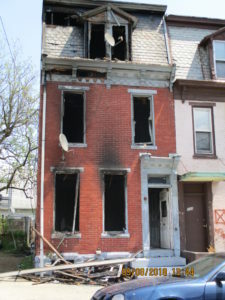 Effective October 1,2018 the City of Harrisburg in is under the 2015 International Codes, 2014 National Electric Code and 2009 International Code Council Accessibility. 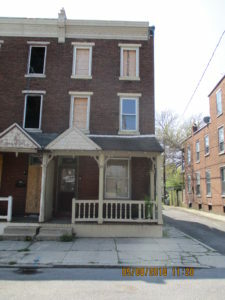 The City of Harrisburg remains under the 2000 International Property Maintenance Code as amended. Contact the Deputy Codes Administrator for additional information at 717-255-6553. Can I mail my permit application to the Bureau of Codes Administration? Yes, as long as all the pertinent information and permit fees accompany your application. Your permit application will then be processed in the order it was received. Applications should be sent to: The Martin Luther King Government Center, Bureau of Codes, 10 N 2nd Street, Suite 205, Harrisburg, Pa. 17101. If I have a multi-phase job must I take a permit out for the entire job or can I take out permits as I go? Yes, it’s called fast tracking. 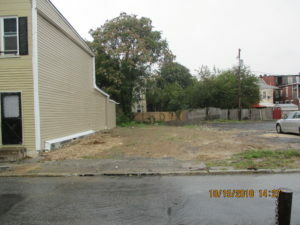 You may secure progressive permits for each phase of construction. As long as each phase has passed progressive inspections you may continue fast tracking until the job’s completion. 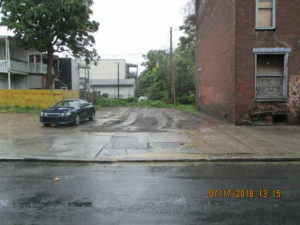 What if my project involves street excavation? 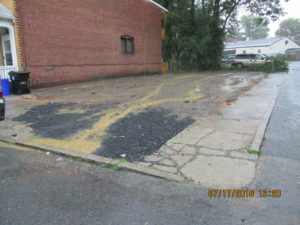 You should contact the City Engineer’s office at 717-255- 3091. What if my project involves the tapping of the City’s sewer main? You must contact the Capital Region at 888-510-0606. What if my project involves the tapping of the City’s water main or securing a water meter? All questions regarding tapping a City water main or securing a water meter should be referred to Capital Region at 888-510-0606. What if I change contractors in mid-course of my project? You must send the current contractor a certified letter stating their removal from the project with a copy of such being sent to the Bureau of Codes Administration. Your new contractor will be required to secure a new permit for the work with the knowledge that they will be assuming full responsibility for all past and future work on the project. What if my work involves the blocking of a public parking area? You need to contact Parking Enforcement for more information at 717-255-3040. What if I have questions regarding activation of my water charges? You need to contact the Capital Region at 888-510-0606. What if I have questions on dumping debris at the incinerator located in the City? What if my project includes the installation of a sprinkler system? You will need to submit a set of sealed drawings to the Bureau of Codes. What if my project includes the blocking of a public street of other public thoroughfares? You will need to contact the City’s Engineers Office at 255- 3091 to obtain authorization. 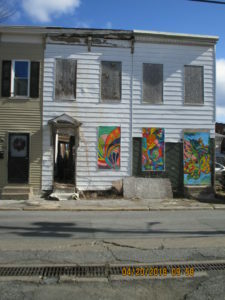 What if my project is in a municipal Historic District and I am doing exterior improvements? Your project may require further review and approval by the City’s Planning Bureau to assure compliance with historic standards. You would have to contact the City’s Planning Bureau at 255-6419. What if my project exists in the 100-year flood plain? It will depend on the nature of the work proposed. If it is new construction or extensive rehabilitation you will need to contact the Bureau of Planning for approval. 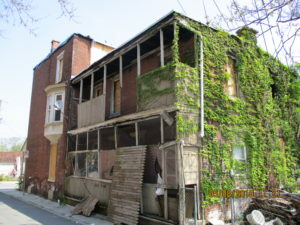 If your work involves either repair of replacement of building components then a standard building permit will suffice. What if for some reason I cannot complete the work proposed on my building permit application and I delay in finishing the work in a continuous manner? Your building permit will expire after 6 months if work is not continuous. In this case you will have to reapply for a new building permit. 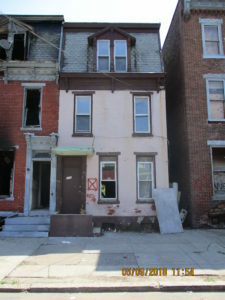 1213 and 1215 Chestnut St.
109 and 111 S. 14th St.
80 and 82 Disbrow St.